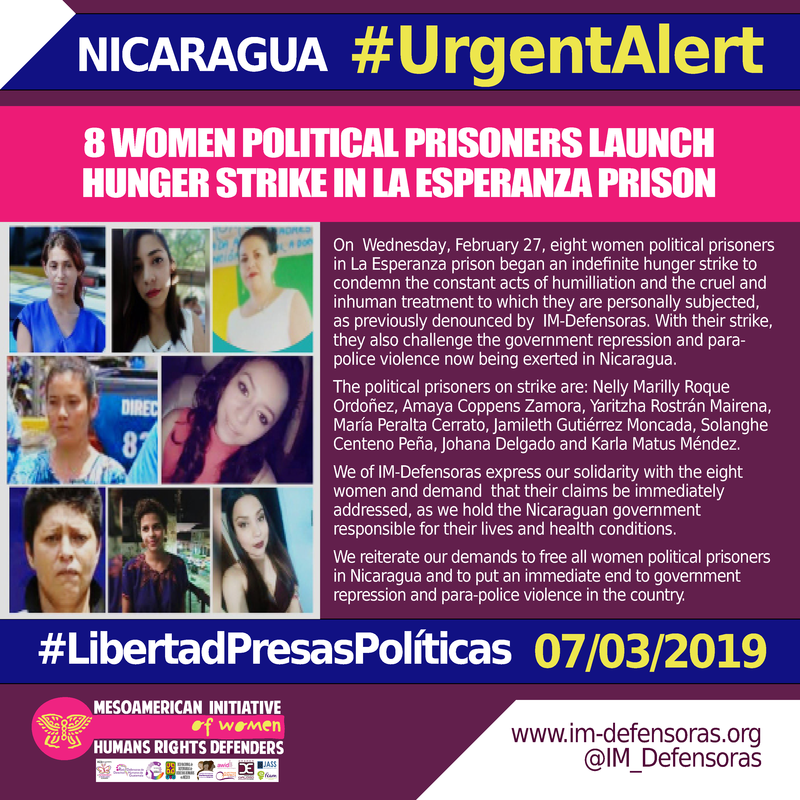 On Wednesday, February 27, eight women political prisoners in La Esperanza prison began an indefinite hunger strike to condemn the constant acts of humilliation and the cruel and inhuman treatment to which they are personally subjected, as previously denounced by IM-Defensoras. With their strike, they also challenge the government repression and para-police violence now being exerted in Nicaragua. 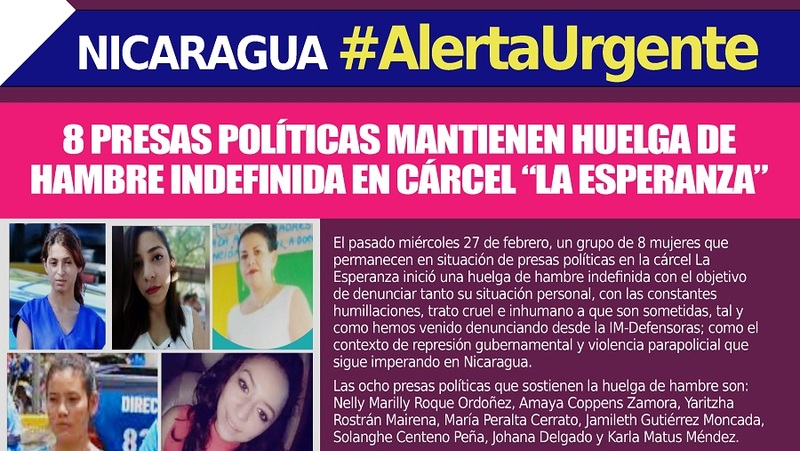 The political prisoners on strike are: Nelly Marilly Roque Ordoñez, Amaya Coppens Zamora, Yaritzha Rostrán Mairena, María Peralta Cerrato, Jamileth Gutiérrez Moncada, Solanghe Centeno Peña, Johana Delgado and Karla Matus Méndez. We of IM-Defensoras express our solidarity with the eight women and demand that their claims be immediately addressed, as we hold the Nicaraguan government responsible for their lives and health conditions. We reiterate our demands to free all women political prisoners in Nicaragua and to put an immediate end to government repression and para-police violence in the country.